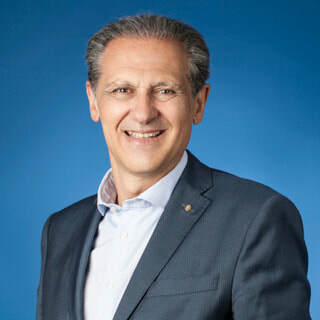 José Manuel González, director general de Servimedia, España. Tras participar en el primer año de la fundación de “La Razón”, pasé a desempeñar cargos directivos de comunicación, concretamente primero en la dirección de comunicación de la Seguridad Social, luego del Ministerio de Trabajo y Asuntos Sociales, y más tarde en el gabinete de prensa de la ONCE. Director de las publicaciones “Perfiles” y “cermi.es”, además de articulista en otros medios. Conferenciante en diferentes foros, organizador de seminarios, director de cursos en distintas universidades, moderador de desayunos informativos. También he formado parte de la Junta Directiva de la Federación de Asociaciones de Periodistas (FAPE), he sido presidente de la Asociación de Informadores de la Salud (ANIS) y he participado en la Junta Directiva de Forética. Jurado de diferentes premios periodísticos, empresariales e institucionales. Profesor universitario en diferentes másteres. Contertulio habitual del programa de “La mañana de la 1” de TVE y de “Los Desayunos de TVE”. 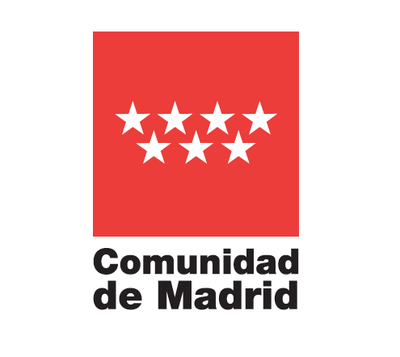 Premio Ondas en 2014 por el 25 aniversario de Servimedia. Premio Foro Justicia y Discapacidad. José Manuel González, Managing Director of the news agency Servimedia, Spain. Born in Madrid in 1962, he is married with two children and has been working in the world of journalism and communications for over 30 years. He wrote his first articles for the weekly crime news publication “El Caso” and for Radiocadena Española (a publicly-owned Spanish radio station). He soon joined the legendary publisher Grupo16, where he worked for over 12 years in various senior positions related to the editing of the magazine “Cambio 16” and the newspaper “Diario 16”. After working at the newspaper “La Razón” during its very first year, he went on to hold executive communications roles: firstly as head of the Seguridad Social (Social Security) press department, then of the Ministerio de Trabajo y Asuntos Sociales (Ministry of Employment and Social Affairs) communications department, and he subsequently ran the ONCE (National Organisation for the Blind) press office. In 2005 he returned to the media world to take on the role of Managing Director of the news agency Servimedia. Mr. González is editor of the magazines “Perfiles” (published by ONCE on social policy) and “cermi.es” (published by the Spanish Committee of Representatives of People with Disabilities), and contributes to other media. He organises seminars, is a speaker at different forums, course director at various universities and a moderator at information breakfasts. He has also been a member of the Federación de Asociaciones de Periodistas (FAPE) (Federation of Spanish Press Associations) board of directors, President of the Asociación de Informadores de la Salud (ANIS) (Association of Health Reporters) and has been on the board of directors of Forética (an organisation that promotes ethical management and social responsibility in companies and institutions). He is on the panel of judges for several journalism, business and institutional awards and is a professor, teaching various master’s courses at universities. In addition he regularly takes part in “La mañana de la 1”, a TVE (state-owned Spanish national television broadcaster) morning magazine programme, and in “Los Desayunos de TVE” (a daily talk show on current affairs). Servimedia was awarded a Premio Ondas (awards for outstanding work by professionals and organisations in the fields of radio, TV and music) in 2014, on its 25th anniversary, and ? has received the Premio Foro Justicia y Discapacidad (Justice and Disability Forum Award).